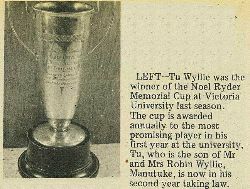 Tu Wyllie was the winner of the Noel Ryder Memorial Cup at Victoria University last season. The cup is awarded annually to the most promising player in his first year at the university. Tu, who is the son of Mr and Mrs Robin Wyllie, Manutuke, is now in his second year taking law. 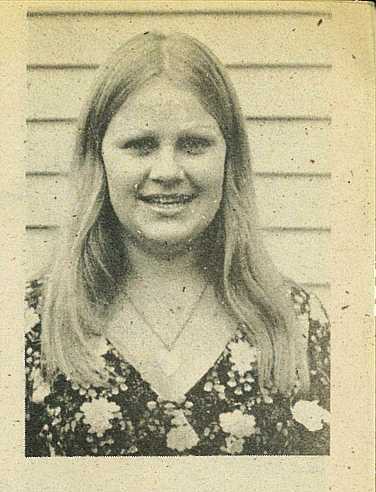 Marion Wilkie, second daughter of Mr and Mrs Bill Wilkie, Worsley Street, left by air for London recently to join her sister Lynda. On a working holiday, Marion, who also intends to make a trip to the Continent, will be away for an indefinite period. 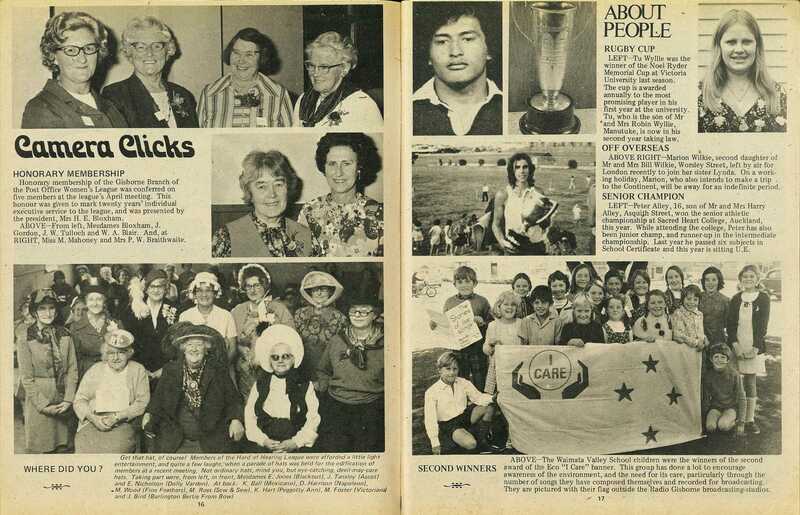 Peter Alley, 16, son of Mr and Mrs Harry Alley, Asquith Street, won the senior athletic championship at Sacred Heart College, Auckland, this year. 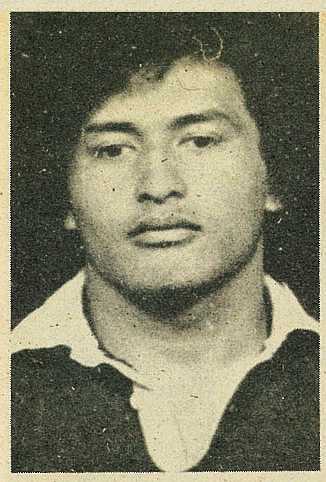 While attending the college, Peter has also been junior champ, and runner-up in the intermediate championship. Last year he passed six subjects in School Certificate and this year is sitting U.E. 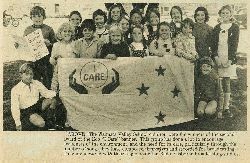 The Waimata Valley School children were the winners of the second award of the Eco "I Care" banner. 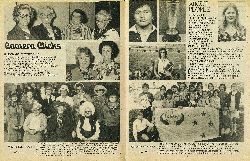 This group has done a lot to encourage awareness of the environment, and the need for its care, particularly through the number of songs they have composed themselves and recorded for broadcasting. 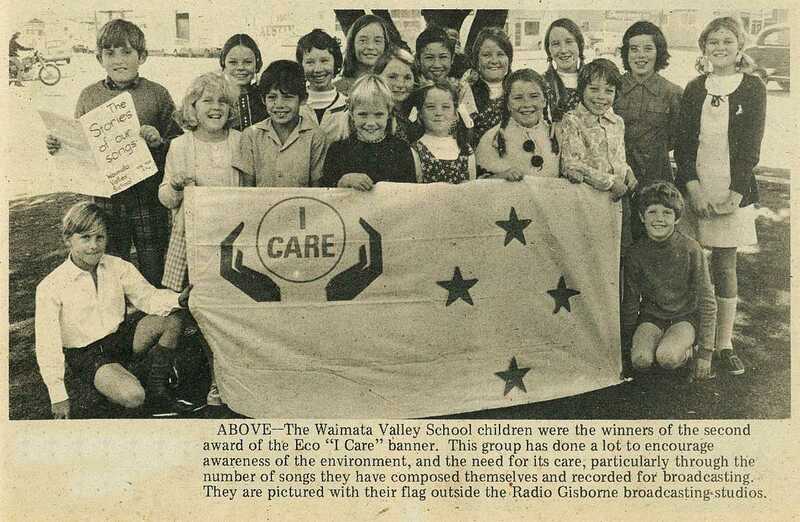 They are pictured with their flag outside the Radio Gisborne broadcasting-studios.